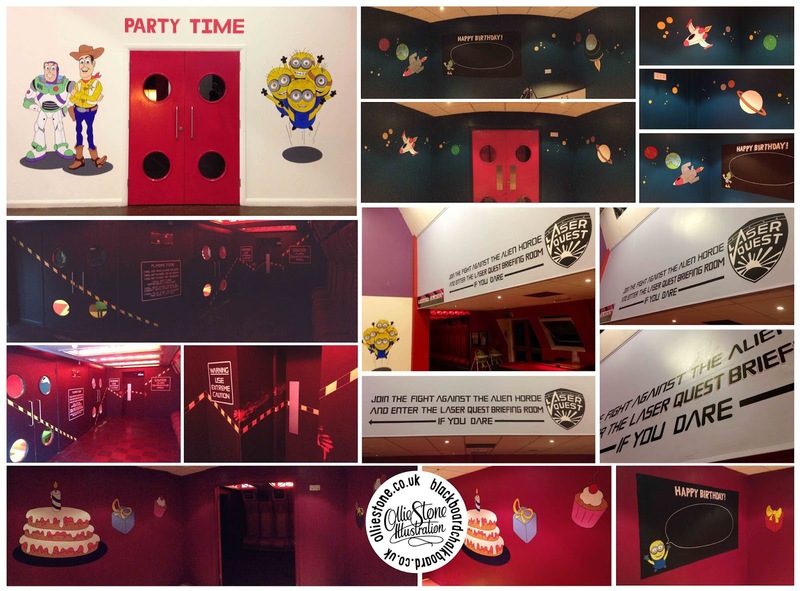 Blackboard design - Chalkboard art - Sign writing - Murals. Assorted murals for Horsham Superbowl in... Horsham. 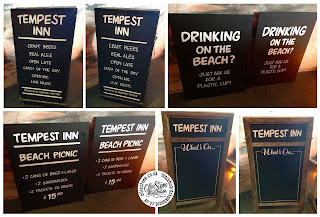 Brighton, London and the South East. Blackboard and chalkboard design. 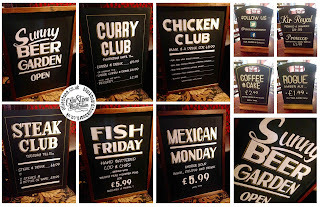 Brighton and the South East. 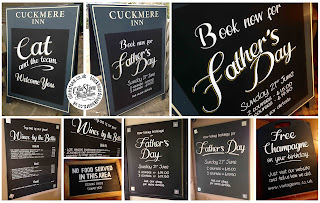 LAST FEW DATES REMAINING IN TIME FOR FATHER'S DAY SIGNAGE. Get in touch straight away if you'd like any boards to pull in the punters! 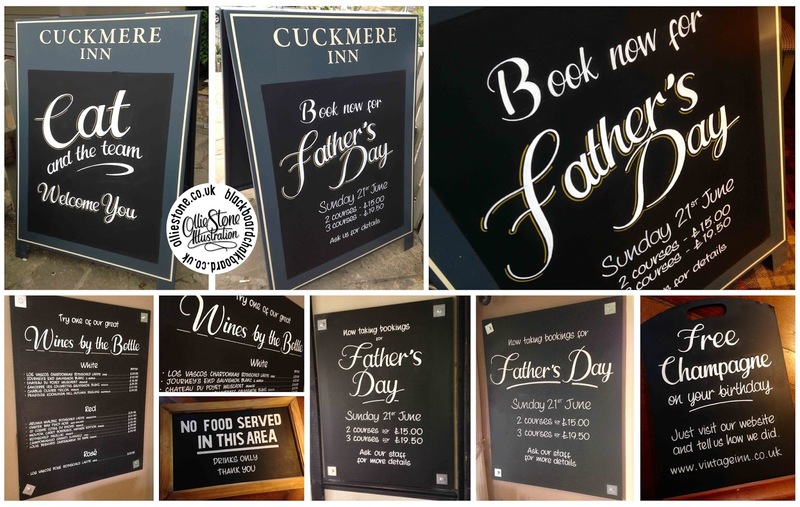 Assorted chalkboards designed for Vintage Inns, The Cuckmere Inn, Seaford. 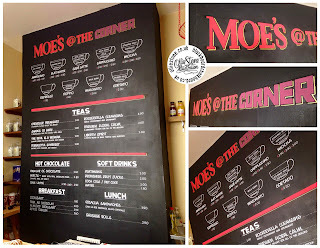 New sandwich menu for Grints Cafe, Brighton. 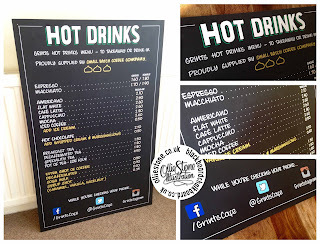 New hot drinks menu for Grints Cafe, Brighton. A sneak peek of some new (top secret) signage for Indigo's, The Seven Stars, Brighton. 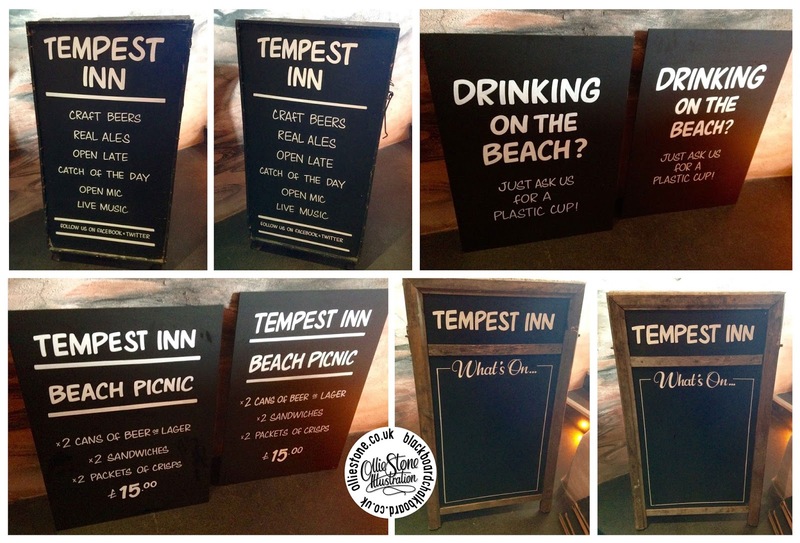 Simple, simple, simple blackboard signage for the Tempest Inn, Brighton. 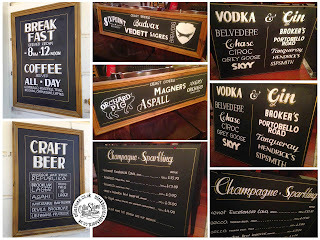 Blackboard. 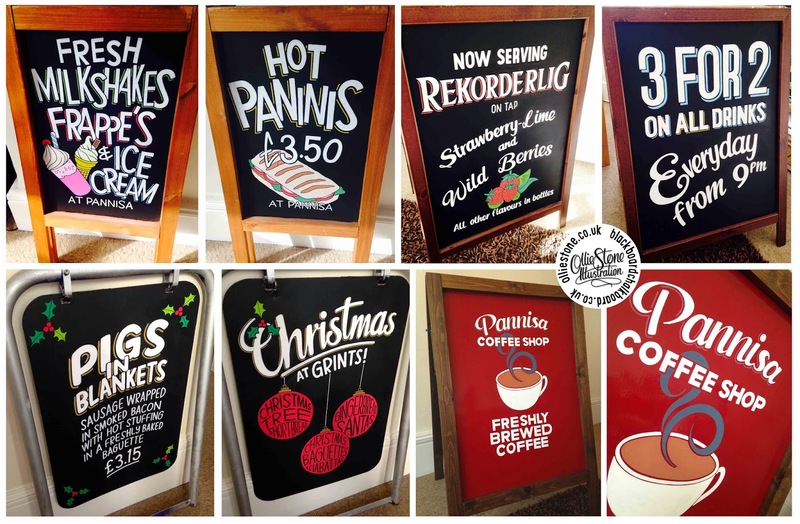 Chalkboard. 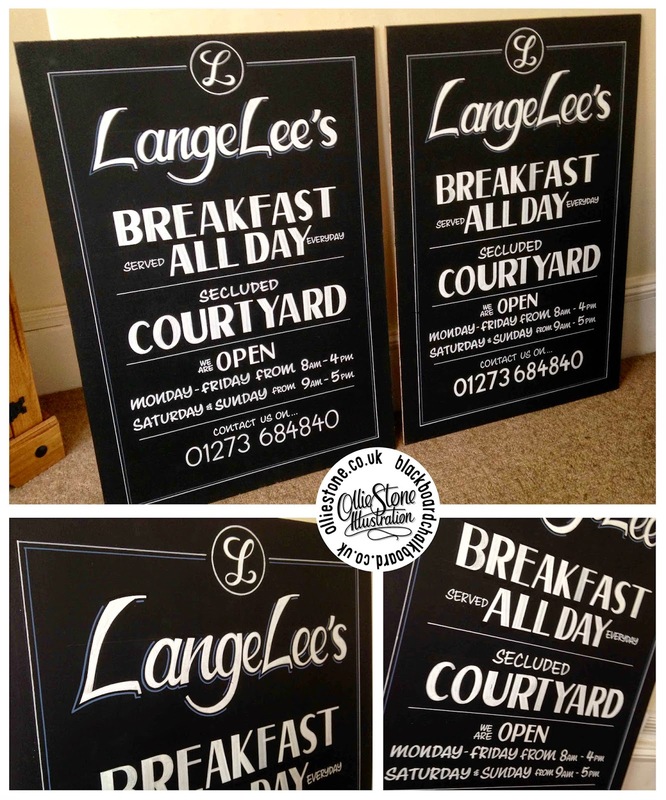 Artist. 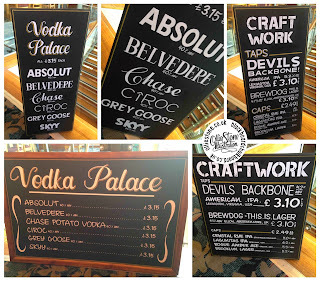 Designer. Sign. 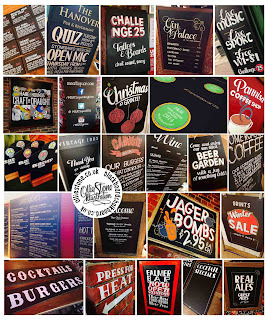 Writer. 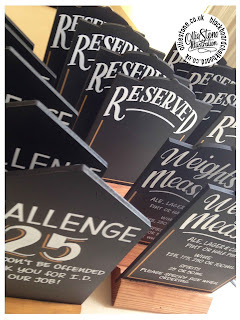 Hire. 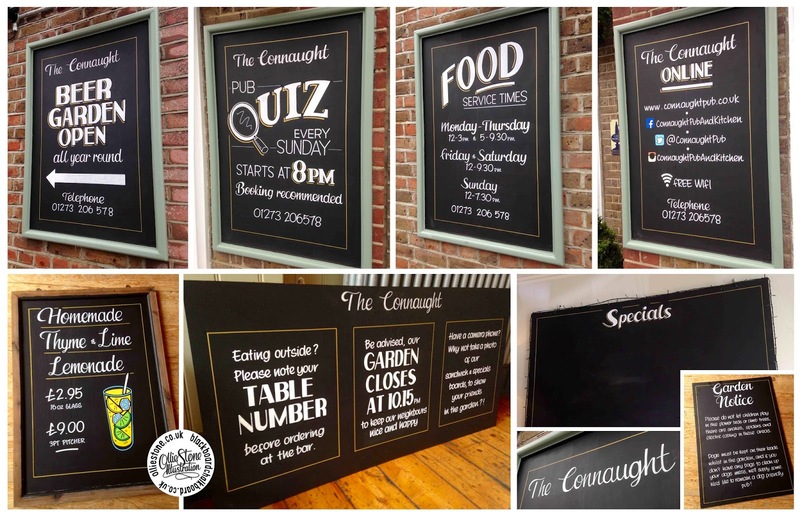 New signage and chalk art for The Connaught Pub & Kitchen, Hove. A-boards and pavement boards for various clients across London, Sussex, Kent and Hampshire. 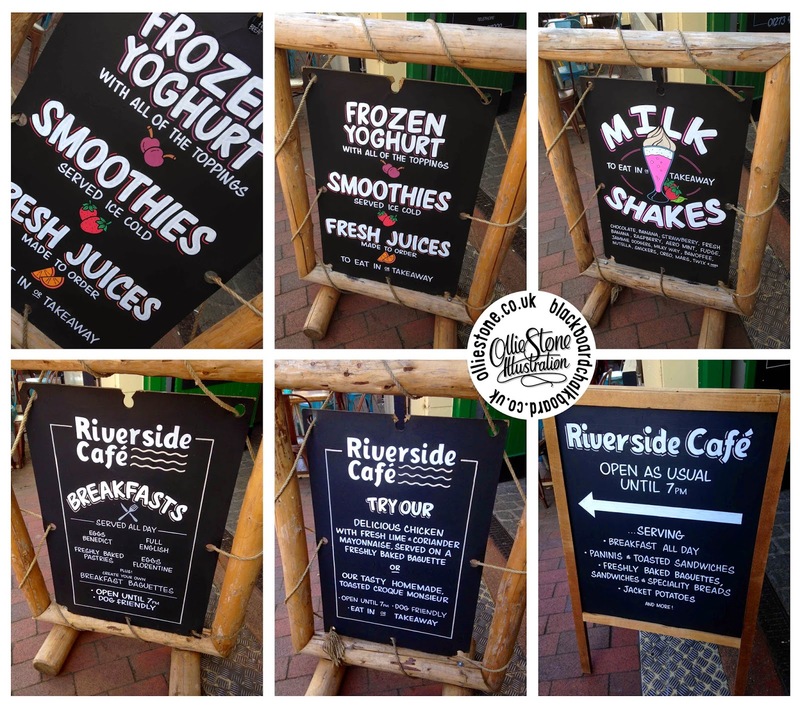 Outdoor a-boards for the Riverside Cafe, Lewes. 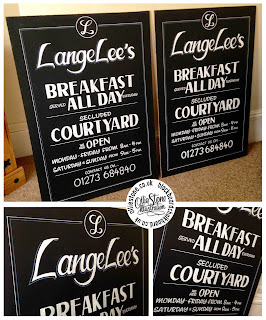 Two a-board inserts for LangeLee's cafe in Brighton. 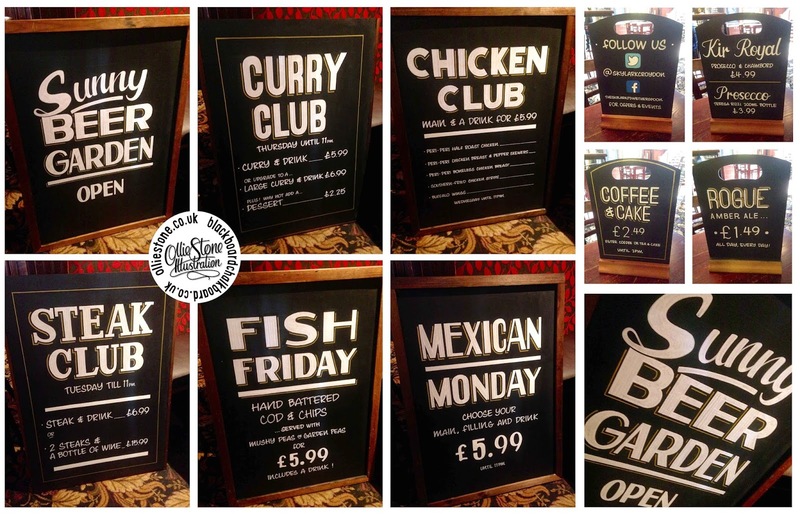 Blackboards and pavement signs for Wetherspoons and others. 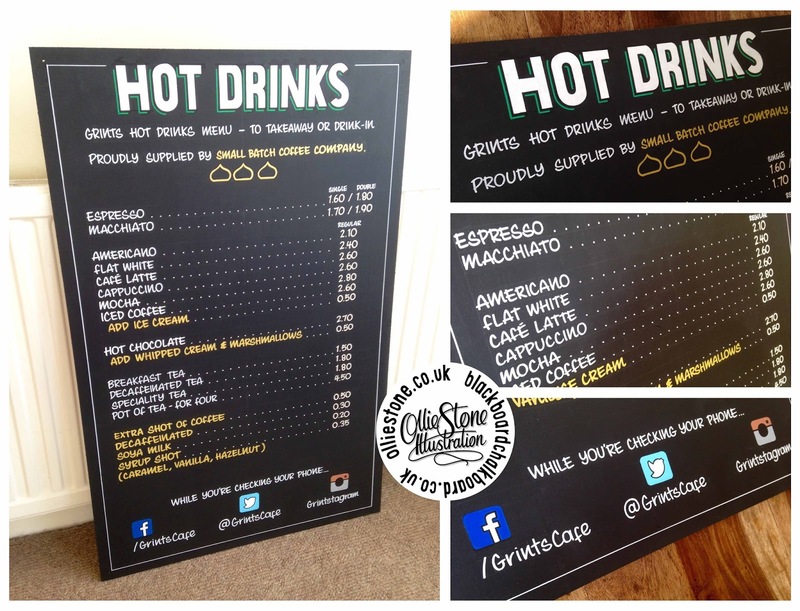 Large double-sided a-board for Crown's bar in Brighton. 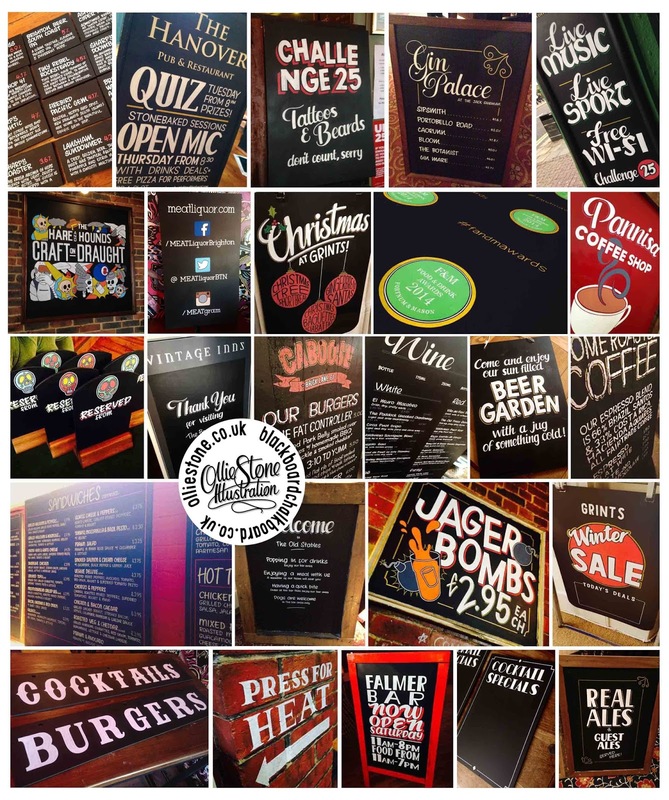 Chalkboard signage for JD Wetherspoons, The Bright Helm in Brighton. 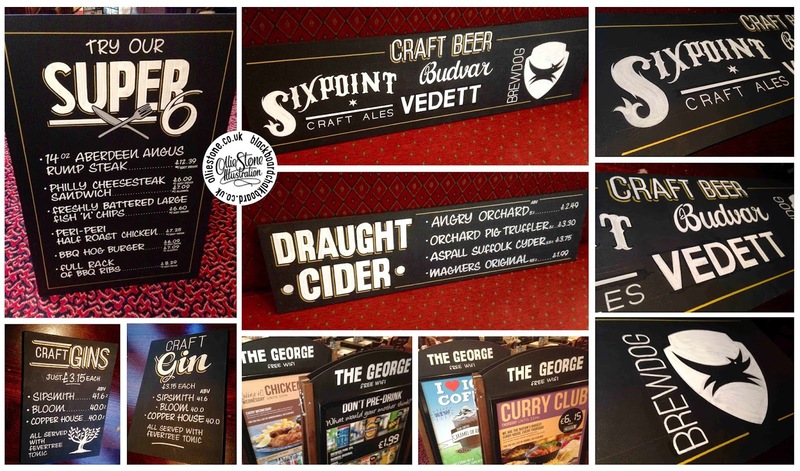 Chalkboard signage for JD Wetherspoons, The Opera House in Tunbridge Wells. Chalkboard signage for JD Wetherspoons, The Skylark in Croydon. 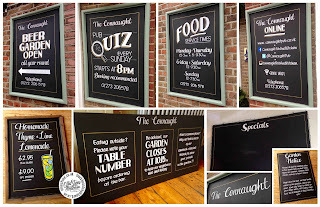 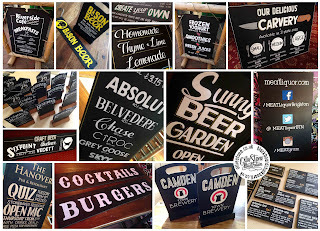 Chalkboard and blackboard artist, designer and pub sign writer. 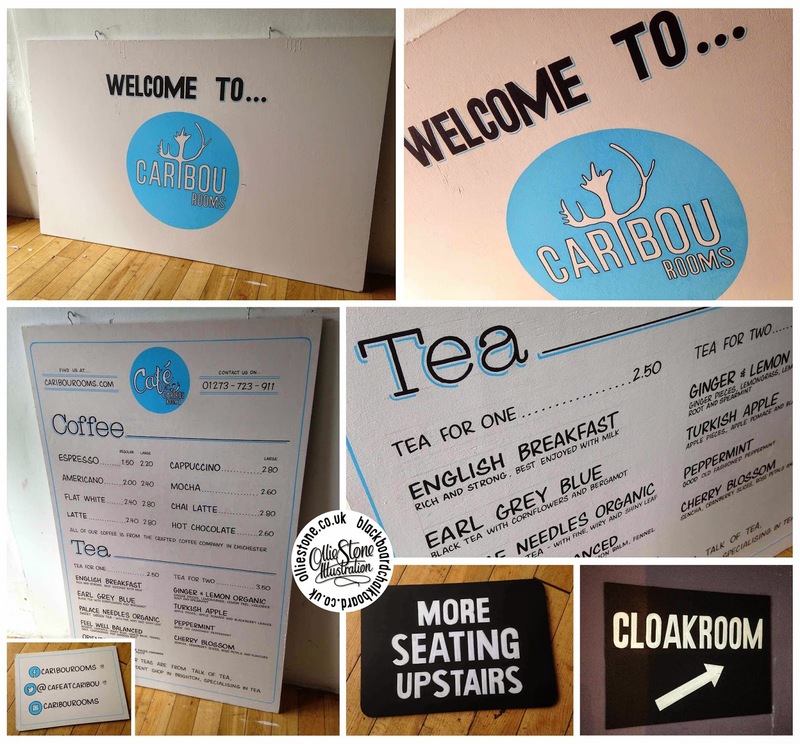 New signage for Caribou Cafe, Brighton. 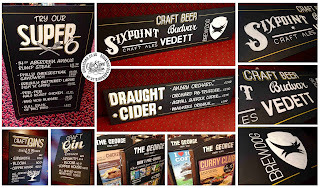 Massive pavement a-board for Crown's bar, Brighton. 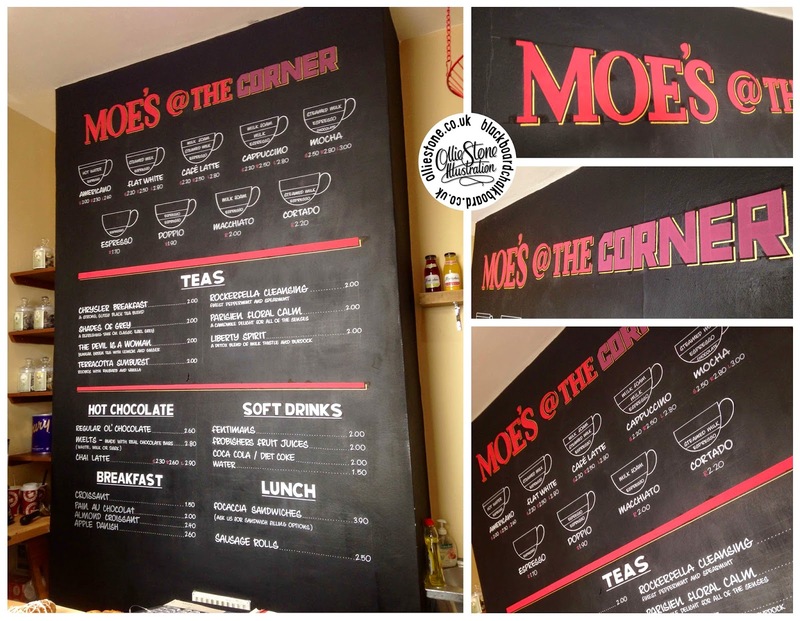 New menu signage for Moe's @ The Corner, coffee shop in Brighton. 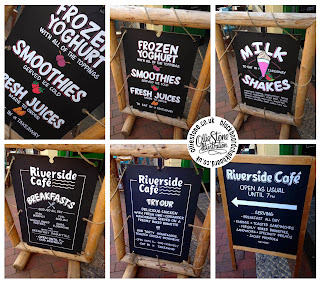 New pavement blackboards for the Riverside Cafe in Lewes. 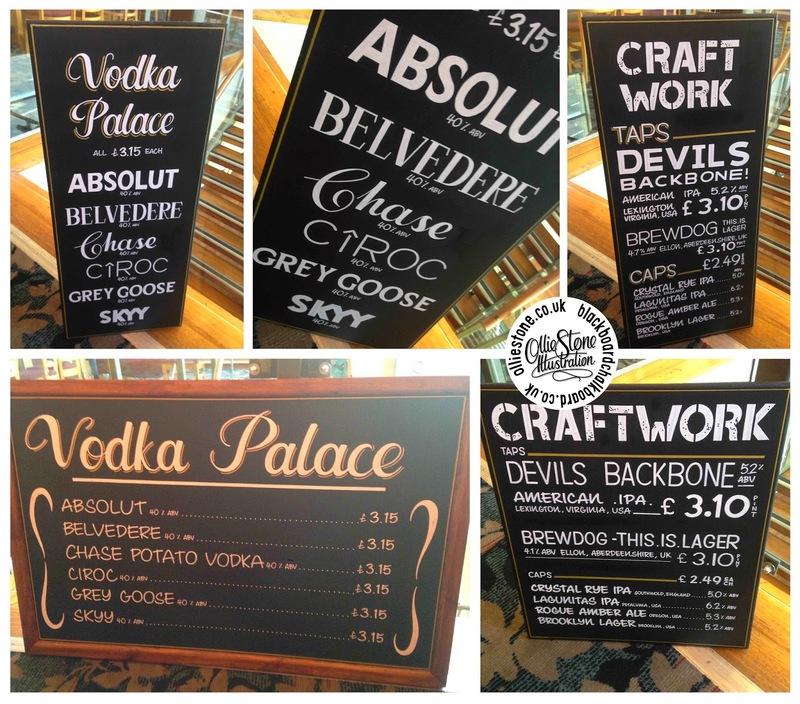 New chalk art and signage for JD Wetherspoon, The George pub, Croydon.